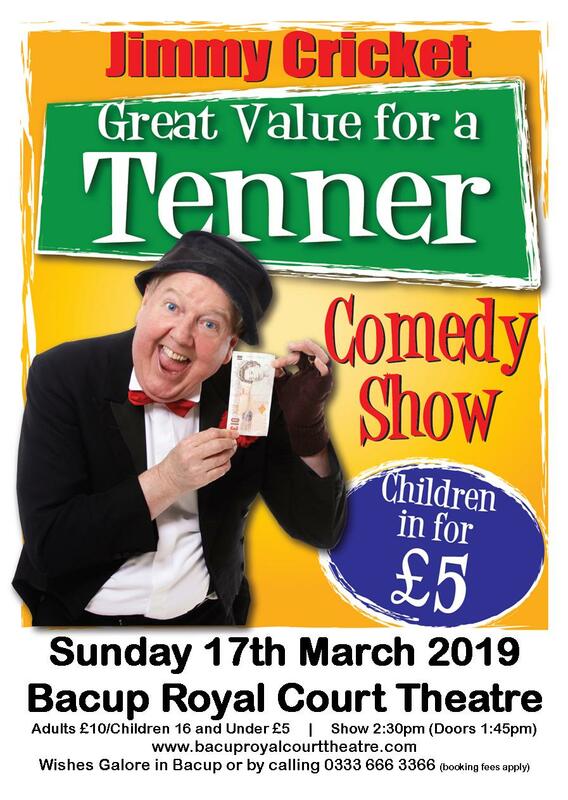 The much-loved Irish Comedian, Jimmy Cricket, brings his family-friendly comedy show for just a tenner to Bacup Royal Court Theatre on St Patrick's Day. Jimmy will arrive equipped with one-liners galore, a sprinkling of visual comedy and, yes, that ever present letter from his mammy! This is the perfect show for granny and grandchild alike, as there will be giggles aplenty during an evening of fun and frivolity. On offer is a comedy master class delivered by a legendary entertainer everyone has come to know. Tickets for the show will be at the incredibly affordable price of £10 per ticket with children in for £5.